Accent nails aren't just for the weekends or for us polish fans. 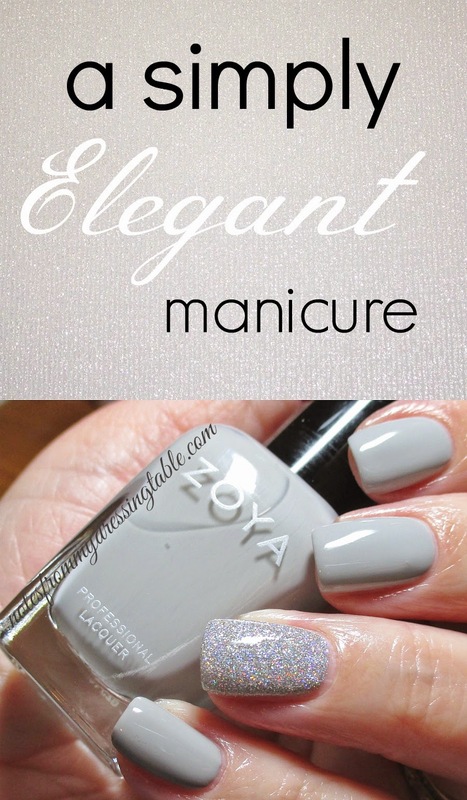 Accent nails can be elegant and can be worn by anyone, just about anywhere as this manicure featuring Zoya Dove shows. This is Zoya Dove and an accent nail of China Glaze Glistening Snow. My top coat is Essie Good to Go Top Coat. Zoya Dove is a soft, balanced grey crelly. Perfectly opaque and smooth in two very pleasurable to apply coats, Dove smooths up the nail without streaking, pooling, running, dragging or bubbling. This polish self levels beautifully and with a fast dry top coat dries in good time. 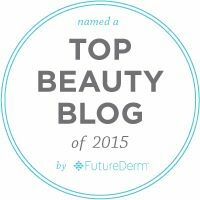 I had my Barielle Hydrating Ridge Filler on under this manicure and I got a solid five days out of it. I almost fell over! My manicures almost never last that long. I've noticed that the ridge filler seems to help my polish hang in there a little longer. Or maybe I'm crazy. A distinct possibility. Sadly, China Glaze Glistening Snow is not easily available, any longer. However, if you like this look and were thinking of recreating it, any fine silver glitter polish that will get opaque in a couple of coats would do the trick. A foil, like Orly Shine or holo like ILNP Mega would be beautiful, too. What do you think, gentle reader? Do you like this polish combination? If grey and silver aren't your cup of tea, you could try pink and silver, pink and gold, red and gold, black and silver, green and... Well, you get the idea. Have you tried accent nails? Would you? If you haven't, I encourage you to try it. If you are into wearing accent nails, what are some of your favorite combinations? Have any I should try? This is such a soft, pretty grey that you can wear to work. I need to try your trick with the ridge filler - on the other hand, I'll probably peel off my polish (and nail) anyway when stressed. 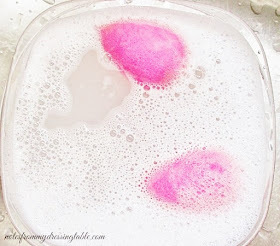 Blog name is changed on Bloglovin :) Just thought I'd let ya know. Very pretty! I'm sad I missed out on Glistening Snow now. So gorgeous, I love this combo! Thanks! They were kind enough to make that change for me. Thank you. So so I. This is definitely a work appropriate shade! I peel polish when I am stressed, too. My poor nails have the damage, to prove it. Such a nice grey that is! Love the sparkly accent nail too. Thank you so much. I was really happy with this combo. I adore grey polish. Accent nails are beautiful nail art. Rock them!